In celebration of Men’s Day at Pilgrim Baptist Church, there will be a workshop on Saturday, October 13, 2018 entitled “God Has A Plan, Let Him Show You”. The workshop facilitator will be the Rev. Eric D. Williams from Brentwood, Tennessee, the Pastor of the Greater Pleasant View Baptist Church. The workshop will run from 8:30 – 10:00 a.m. at Pilgrim Baptist Church, 732 Central Avenue, Saint Paul, MN 55104. A continental breakfast will be served and there is no charge for the workshop. All junior and senior men, their family and friends are welcome and encouraged to attend. Rev. 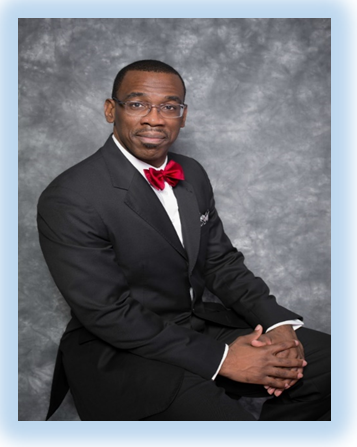 Eric D. Williams will also be Pilgrim’s guest preacher at the Men’s Day Worship Service on Sunday, October 14, 2018 starting at 9:45 a.m. The Men’s Day Worship Service on Sunday October 14th will feature a special all male chorus. Do you love to sing? Come join us. The special Men’s Day Chorus is an excellent way to sing praises to our Lord and to fellowship with other Christians. Rehearsals: 6:30 p.m. on October 4 and October 11, 2:30 p.m. on October 13. Got Questions? See Brother Mac Webb.